It has been 100 years since it sank, and 27 years since it was rediscovered. Now the wreck of Titanic has finally become what it was always meant to be: an archaeological site. At the bottom of the ocean, centuries pass with little occurring in the way of incident. But on April 15, 1912, deep in the Atlantic, 375 miles southeast of Halifax, Nova Scotia, that changed. A massive steel structure, after falling for more than two miles, hit the silt and drove into thick clay beneath. Silt bloomed as the sound of the impact reverberated in the darkness. Other pieces of the world's largest passenger steamship followed like a heavy rain. The bow came in fast, nose first, plowing a deep furrow into the clay. Over the next several hours, fragments of the hull, dishes, machinery, and linoleum tiles—and the remains of people—settled across miles of seabed. What had once been a floating city was fragmented and scattered two and a half miles down. More than 1,500 people lost their lives. Slowly but inexorably, the processes of the deep sea went to work. Marine organisms and acidic clay consumed wood and other organic material, including human remains. Bacteria colonized and began to eat away at the steel, leaving behind tendrils and puddles of red, orange, and yellow byproducts. The ship's crisp angles blurred and the proud name on the bow, Titanic, dissolved. Silt slowly accumulated on intact paneling, doors still on their hinges, and a metal bed frame with a nightgown draped over it. In 1912, Thomas Hardy imagined, in a poem lamenting Titanic, "Over the mirrors meant/To glass the opulent/The sea-worm crawls—grotesque, slimed, dumb, indifferent." Intact compartments and cabins that had once been filled with air, light, and passengers were full of water pressurized to 6,000 pounds per square inch and seemingly alien life. Over decades, the wreck became a haven for deep-sea creatures such as ghost crabs, crinoids, and worms—a series of "reefs" in what had once been a deep-sea desert. Seventy-three years after the sinking, in the early morning of September 1, 1985, Argo, an unmanned deep-sea vehicle, disturbed the darkness for the first time. Argo, carrying video cameras and sonar, was towed at the end of miles of coaxial cable by the Woods Hole Oceanographic Institution (WHOI) ship Knorr. Argo sent back to the ship grainy, real-time images from the deep—the first the world had seen of Titanic since black-and-white photographs depicted it departing the Irish coast in 1912. Humans first visited the wreck the following year in the research submersible Alvin, peering out of small portholes. In 1987, another submersible, Nautile, glided over the site, and with a robotic arm carefully picked up the first of 1,800 artifacts it would recover from the mud during that expedition. Since then, a new era has dawned in our quest to study the past that lies at the bottom of the ocean. In 2010 two highly sophisticated robotic vehicles systematically crisscrossed the seabed on their own, with high-resolution sonar and camera systems, creating the first comprehensive map of the Titanic site. Another robot, at the end of a fiber-optic cable, sent to the surface live, full-color, 3-D images, allowing scientists to virtually walk the decks of the ship. This latest research effort, of which I was a part, represents a paradigm shift in underwater archaeology. For the first time, Titanic can be treated and explored like any other underwater site—even extreme depth is no longer an obstacle to archaeology. Thanks to rapid technological advances and interdisciplinary work, archaeologists have a whole new perspective on sites such as Titanic, and new questions to ask, questions we never could have dreamed of when underwater archaeology began just 50 years ago. Around the time that deep-sea technology was first developing, so was underwater archaeology. Its specific techniques and methods began to emerge in the late 1950s, through pioneers such as Jacques Yves Cousteau, Frederic Dumas, Peter Throckmorton, Honor Frost, and George Bass. Their work culminated in Bass' first complete underwater excavation of a shipwreck—a Bronze Age vessel at Cape Gelidonya, Turkey—in 1960. When asked by colleagues whether "proper" archaeology could be done underwater, Bass said that archaeology was archaeology, regardless of where it was performed. Since then, thousands of underwater archaeological sites, from shipwrecks to prehistoric sites to submerged cities, have been located, documented, and excavated. And advanced diving, especially mixed-gas technology, has allowed divers to go deeper and stay longer, without the muddling effects of pressurized air on the brain. However, deep sites still lay beyond the reach of divers. Ironically, the first steps in expanding underwater archaeology to the depths were propelled by the Titanic disaster itself, as the first sonar systems were developed and tested after the sinking to locate and avoid icebergs. This technology improved through the two world wars and into the Cold War, moving into deeper waters, until its most dramatic discovery to date—Titanic. But even in 1985, the idea that Titanic could be explored, photographed, and mapped like an archaeological site seemed like the stuff of science fiction. The introduction of the global positioning system (GPS) was the next big step, providing a platform on which to integrate sonar data with increasingly sophisticated maps and satellite imagery. Better robotic systems also evolved, as well as manned submersibles that could travel even deeper than Titanic. But the submersibles are hardly the same as diving on a site. They are built on Cold War technology, with tiny crew compartments surrounded by life support, thrusters, batteries, lights, cameras, and sonar systems. Lying face down, neck craned upward in the cold, dark capsules, scientists peer through small portholes and rely on deployed instruments and mechanical arms to interact with the environment outside. My first submersible dive was in 2000, in a Russian Mir-class sub, to assess the wreck and cultural tourism at the Titanic site. I was struck by both the extreme conditions and the incredible skill that these unsung pilots need to safely launch, dive, navigate, and ascend. As submersible pilot Paul-Henry Nargeloet of the salvage and exhibition company RMS Titanic Inc. noted, those missions to Titanic were merely glimpses through a "keyhole." I spent my submersible dive with my forehead pressed for hours against the cold steel of a Mir hull to stare through four-inch-thick Plexiglas—I know exactly what he means. Each of those dives added incrementally to our knowledge of Titanic, but the ability to do a basic detailed survey, map with accuracy, and measure—let alone impose the archaeological discipline of a grid and units, as one would on a divable underwater site—remained elusive. 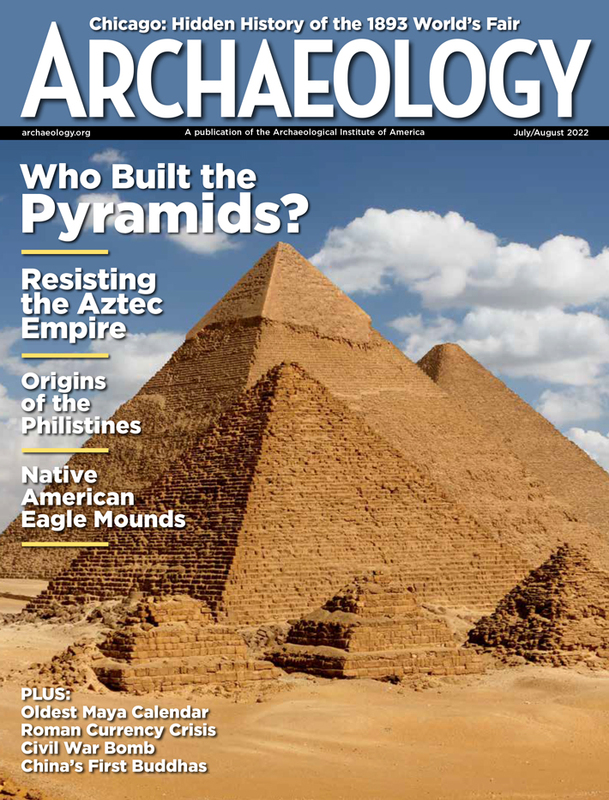 After my 2000 visit to Titanic, I wrote in Archaeology magazine: We see scoop marks that show where selected pieces have been plucked from clusters of artifacts—no grids, no scientific sampling—simply for their display or monetary value. What is happening here, two-and-one-half miles down and out of sight of much of the world, is not archaeology. . . . In short, other than the well-known intact bow section and the stern and the sub pilots' recollections, no detailed "road map," let alone a highly detailed archaeological site plan, exists. Photos of Titanic had been taken and artifacts collected, but none of these activities reflected the process by which we apply scientific methods to the study of the past. To actually study the wreck, and the lives of the people on the ship, we would need a detailed site map that we could visit again and again, with ever-more sophisticated questions. Could such a map be created not only for the largest features—the bow and stern sections—but also for artifacts ranging from boilers and hull sections, down to a teacup, bottle, or button? Could we catalog the site's smallest constituents in a nondestructive way? Could we discern the site formation process—determine exactly how the pieces of the ship and its contents came to their resting places? And did the salvage of artifacts from the site compromise its archaeological integrity and render archaeological technique and method moot? The 2010 Titanic expedition, led by David Gallo of WHOI, set out to answer these questions and establish that archaeological science beyond mere observation could be conducted at crushing depths. Following the discovery of the wreck in 1985, there were opposing views on what should be done with it. In the United States, Congress passed the RMS Titanic Memorial Act at the urging of oceanographer Robert Ballard, who led the expedition that discovered the wreck. It recommended that the site be left untouched as a memorial. But because Titanic rests in international waters, it was under no nation's jurisdiction—under admiralty law, Titanic was open to anyone with the right equipment and technical expertise to reach it. The act also gave the National Oceanic and Atmospheric Administration (NOAA), working with the Department of State, the task of negotiating an international agreement on Titanic and developing guidelines for appropriate activities on the site, a process that took a decade and a half. As this discussion was taking place, beginning in 1987, a private American company formed by investors and known as Titanic Ventures Limited Partnership (now Premier Exhibitions, with the Titanic artifacts handled by subsidiary RMS Titanic Inc.), began diving to the wreck with codiscoverers IFREMER, France's deep-sea agency, to recover artifacts and photograph the ship. Working from submersibles, over seven expeditions between 1987 and 2004, RMS Titanic Inc. ultimately raised some 5,000 artifacts, with the aim of displaying them for profit. Their activities were controversial. In 1987, the London Daily Express called the recovery dives "Vandalism for Profit." A 1988 editorial in Discover magazine was titled, "We All Loot in a Yellow Submarine." Guest columnists squared off in the pages of USA Today: "Salvaging Artifacts Is an Insult to the Dead" versus "Salvaging Artifacts Brings the Legend to Life." Public opinion remains divided. While newspaper columnists, cartoonists, and archaeologists decried the practice, countless people have lined up to visit RMS Titanic Inc.'s touring artifact exhibitions. Amid the years of legal battles and publicity, in 1997 I participated in an independent review of the work that had been done on the Titanic site for the International Congress of Maritime Museums. The review was prompted by concerns of the international museum and archaeological communities over the impending display of recovered Titanic artifacts at the National Maritime Museum in Greenwich, England. Larry Murphy of the National Park Service, Roger Knight of the National Maritime Museum, and I were surprised to learn that though RMS Titanic Inc.'s artifact recoveries had been selective—for iconic, intact, and, at times, random artifacts—they had been conducted with great skill. The recoveries had been documented by video, and additional data existed, we were told, to create a map of where the artifacts had come from. RMS Titanic Inc. had also conducted studies in 1996 of the wreck and its environment, such as a sonar survey through the mud to assess now-buried damage to the hull that may be from the iceberg impact, and an ongoing assessment of the biological corrosion by microbiologist Roy Cullimore and his colleagues to determine how long Titanic would remain intact. Ballard and NOAA also jointly examined the site and the remains of the bow and stern, and film director James Cameron explored the interior, revealing much about the ship and what happened inside it the evening that it sank. Much data had been gathered since Titanic's rediscovery, but the scope of the entire site remained largely unknown—we had no detailed knowledge of the whole, and didn't even know how large it was. The "keyhole" views of the wreck had not described or defined the scattered field of artifacts, for example. Understanding Titanic from these efforts was like driving through a city at night, in a rainstorm, peering through a portion of the windshield, and trying to piece together in your mind's eye what the headlights revealed around each corner. But by 2010, with the latest technology and the right team, a comprehensive, finely detailed site map was finally in reach. A decade after my first visit to Titanic in 2000, I returned with the best-equipped and most experienced group of scientists and technicians ever assembled for such a project. 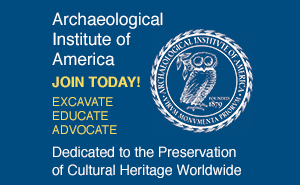 The result was a multiagency expedition, including WHOI, the Waitt Institute, Phoenix International, NOAA, and the National Park Service, that would develop a detailed archaeological site plan and report. The new effort also includes a Titanic Advisory Council to review proposals to work on the site in accordance with UNESCO and U.S. historic preservation law and practice. Other recommendations include a voluntary exclusion zone around the wreck site where ships would not discharge waste of any sort (modern garbage is indeed present on the site) and designated areas where submersibles visiting the wreck would enter and exit the archaeological area. This last point is important—25 years of dives have littered the wreck site with the dive weights each sub drops to ascend to the surface. RMS Titanic Inc. paid for the expedition, which included many staunch critics (some directly involved in the litigation) of the prior handling of the Titanic wreck—myself among them. Such a collaboration was simply unimaginable to many people right up until the mission's launch in the research ship Jean Charcot from St. John's, Newfoundland, in August 2010. The other robot was an ROV, Remora, a refrigerator-sized frame covered with crush-proof foam, cables, thrusters, deep-sea lights, and high-definition cameras from WHOI's Advanced Imaging and Visualization Laboratory (AIVL). Rated to dive to 20,000 feet, Remora, operated by Tim Weller and Bradley Gillis of Phoenix International, was tethered to the ship by more than 12,400 feet of fiber-optic cable and driven by joystick. Two levels above the main deck of Jean Charcot, in a darkened compartment of the ship's laboratory, the AIVL team conducted systematic sonar and digital imaging of the bow, stern, and other major sections of Titanic. Wearing bulky black plastic glasses, we watched large screens and saw Titanic, brightly lit and in 3-D, and relayed directions to the ROV's pilot—stop, a little to port, turn 10 degrees—for hours. I was struck by how much more insight—digitally documented in high definition, with remarkable precision and clarity—we were gaining compared with being down there in a manned submersible. The lights, literally and figuratively, were on for the first time. Previously, the results of work on the wreck had to be carefully pieced together, at times by hand, to provide glimpses of certain artifacts and features. Now, the entire wreck site became accessible, down to a teacup or wine bottle or crabs crawling along the hull. Our data acquisition complete, the processing of this information is ongoing. AIVL's William Lange (a member of the original Titanic discovery team) and his visualization team, including 3-D specialist Evan Kovacs, are merging all this optical and sonar data together into a detailed, comprehensive baseline map of the wreck, built on a GIS database developed by the National Park Service's David Conlin, co-principal archaeologist on the expedition (with me). Science begins with measurement. Understanding the relationships between features and objects on the seafloor is key to deciphering how the site was created on April 15, 1912. With the new site map, we are able to virtually "fly in" on the wreck, dropping into the water anywhere in a roughly three-by-five-mile area that encompasses the full extent of the wreck, and get a view of anything, from the large intact portions of the ship down to the most current-scattered pieces of coal, dishes, and deck tiles. Digitally, we can move in closer to any portion of Titanic—now sectioned into grid units like a proper archaeological site—including a small area that holds the greatest concentration of features. There, close to the intact but mangled stern, is a collection of pieces of hull, machinery, superstructure, and other artifacts known for decades as the "debris field." We have now started referring to it as the "artifact field"—more than 60 major features and tens of thousands of artifacts in a non-random pattern—where we are both plotting relationships between objects and studying the features on a pair of shoes. We have begun the task of identifying features, artifacts, and their contexts, especially with the help of Titanic expert Bill Sauder. I have known of Sauder's scholarship for years, so I was not surprised by the depth of his knowledge. But I was amazed all the same when he meticulously explained how a battered feature on the seabed was one of the revolving doors from Titanic's first-class smoking room, and as he identified the half-intact oval domed skylight from one of the ship's two grand staircases. Returning virtually to the wreck again and again like this is critical to any scientific approach. Rather than seeing Titanic through a keyhole, we can interrogate the entire thing and ask fresh questions of it. The archaeological methods now being applied to Titanic have given us clear insights into the site formation process, specifically how Titanic broke apart and fell, and how the bow plowed into the mud at an angle. We can see how the stern sank, along with broken sections of the hull, including a cluster of boilers. We can delineate where heavier objects landed and blew away silt, and at the bow we can see how the hull dug in, flexed, and sprang back, leaving a knife-sharp edge in the mud even a century later. We have also plotted pairs of shoes, laced and tied, next to disturbed mud—places where victims came to rest. Some of the site formation processes were known or surmised before. As early as 1986, Lange, with Ballard and Al Uchupi of WHOI, worked with images from Argo to begin to map around Titanic's stern and hypothesize about patterns of the fallen artifacts. Others, including a 2005 television documentary crew working with experts, developed new theories on how Titanic came apart. And Cameron's expeditions sent small robots deep into the bow that yielded detailed information on the sinking and the exceptional levels of preservation inside the wreck. A variety of further expeditions, including two by NOAA in 2003�2004, had surveyed, generated partial photomosaics, and continued to assess the bacteriological consumption of Titanic's steel. The 2010 expedition brought these efforts together with a new base of solid data, a grid, assigned units, and feature numbers, providing a new perspective on how Titanic went from ship to shipwreck, and how it continues to change over time. The new map revealed to us that the scattered features and artifacts do not represent everything that once lay inside or on the ship. Rather than streaming like comet tails from the bow and stern as the ship sank, most contents of the artifact field come from the full disintegration of a section of the ship—some 70 feet of Titanic's 882-foot length that branched up and out between two of the deck funnels. Broken pieces of the hull from that section were accompanied by two of the reciprocating engine cylinders, the five boilers from the number one boiler room, 51 tons of coal (of 1,000 or more tons on board), and four tons of coke. This segment also included the contents of the Verandah Caf�, the Palm Court, the aft end of the First Class Lounge, and a group of first-, second-, and third-class cabins, as well as the galleys and pantries, sculleries, wine room, barber shop, smoking room, hospital, cold storage rooms, silverware locker, and baker's shop. Among these items on the seafloor are also pieces swept from the deck, such as the funnels, the davits used to launch lifeboats, and the remains of the bridge. There is a lot of material down there and reflected on the site map, but it represents just a tiny fraction of the presumed millions of artifacts. The artifacts salvaged between 1987 and 2004 do not represent even 1 percent of that total. Where is everything else? Still inside. Cameron's explorations of the bow interior revealed cabins complete with furniture, cupboards stacked with dishes, painted wooden paneling, and hanging light fixtures. Cargo and luggage, including the packed bags of passengers, remain in the hold, and the mailroom, visible through a hole that opened in the hull when it flexed and broke on impact with the seabed, has stacks of mailbags. We believe that, while badly mangled, the stern also retains intact cabins. Titanic was a floating microcosm of society, a city short-lived and dramatically terminated that carried both the rich traveling for pleasure and immigrants seeking new lives in the United States or Canada. Each cabin, trunk, suitcase, valise, grip, and mailbag is itself both archive and memorial. RMS Titanic Inc. recovered a few scattered bags from the ship, and the clothing, correspondence, and personal effects inside them demonstrated exceptional levels of preservation. These bags speak evocatively about the people who packed them, many of whom are known only as initials and a last name on a manifest. By the time this story hits newsstands and mailboxes, the bags, the rest of RMS Titanic Inc.'s collection, and the company's documentation on the site will have, pending court approval, a new steward. Hopefully further study of this collection will continue to tell the story of what we now know to be one of the great human migrations, the nineteenth- and twentieth-century maritime trail from Europe to America. It is clear that Titanic, though well-studied, has so much more to teach us. We have yet to conduct detailed oceanographic studies to assess the wreck's effects on the surrounding deep-sea environment, and what currents, oxygen levels, temperature, and marine organisms are precisely doing to Titanic. Those processes are as important to the future of Titanic as is our dedication to preserving and learning from the site. Titanic still awaits a solid, comprehensive research and management plan, as well as what I see as the most appropriate home for its salvaged artifacts, a public Titanic museum. There are no plans for such an initiative at the moment, but those artifacts are as close as we will ever get to the people who were caught up in that night's events a century ago. Ultimately, archaeology's role in Titanic's story will be to move beyond April 15, 1912, and deeper into the society that produced Titanic, populated its cabins, and looked to the ship as a voyage to the future. Answers will be elusive, but we're now better equipped than ever before to ask those questions. James P. Delgado is the Director of Maritime Heritage for the National Oceanic and Atmospheric Administration's Office of National Marine Sanctuaries.